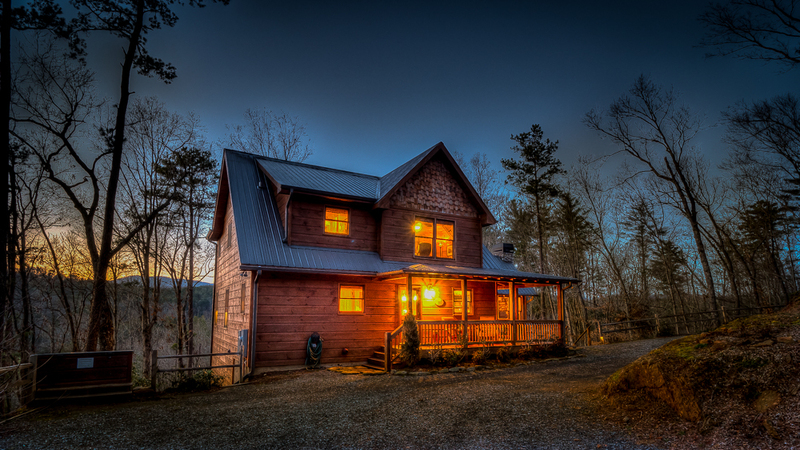 You have a lot of choices in Blue Ridge, Georgia cabin rentals, but the choice is easy when you consider everything On the Fly has to offer. 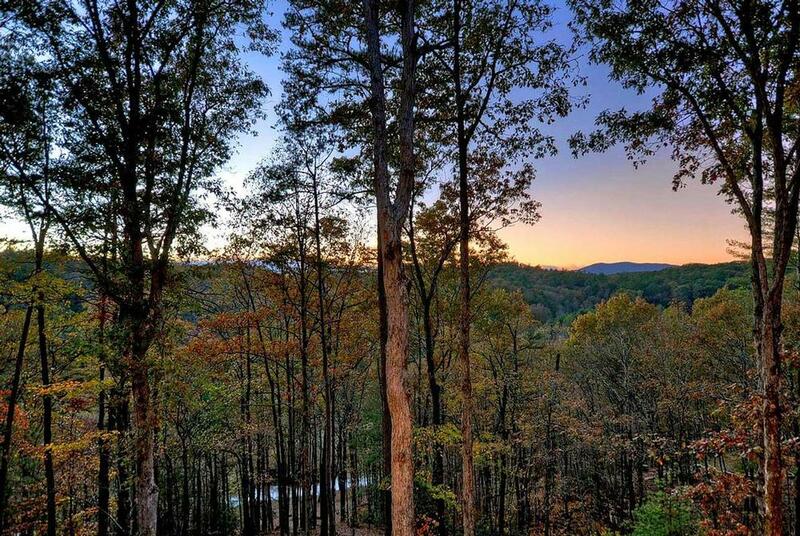 Tucked away in the woods with breathtaking mountain views and the Ellijay River running through the property, this comfortably inviting home is the ultimate in rustic luxury in a private, secluded setting. 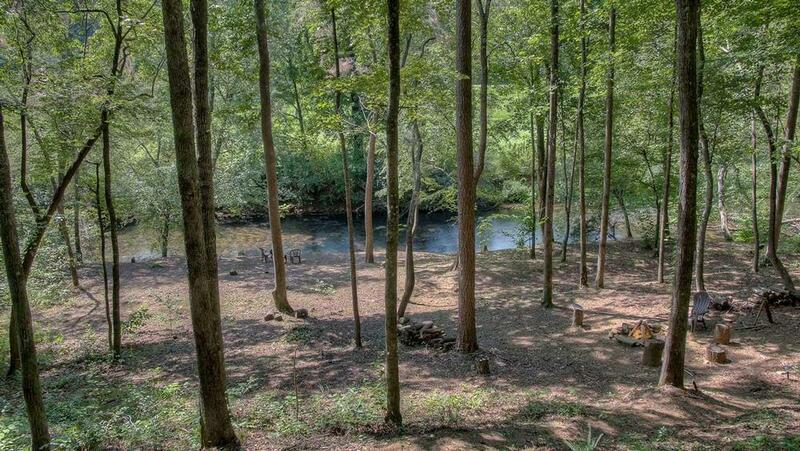 Located in Ellijay in the Appalachian foothills just eight miles from the shops and restaurants of downtown Blue Ridge, On the Fly is your starting point for outdoor fun, whether it’s boating, hiking, exploring waterfalls, a round of golf at the Whitepath Golf Club, or picking apples at Mercier Orchards. 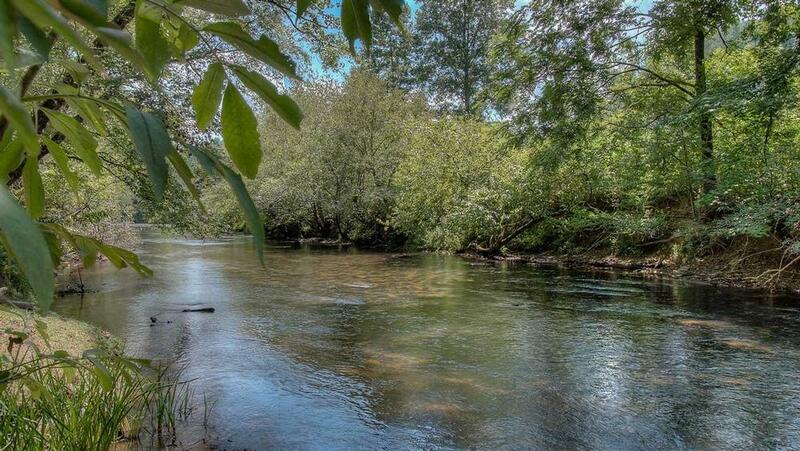 If you’re a fisherman, bass and trout abound in the Ellijay River where you have 200 feet of frontage down the path from the cabin’s door to cast a line. Follow the lighted path to the river, get your exercise for the day and fish to your heart’s content! 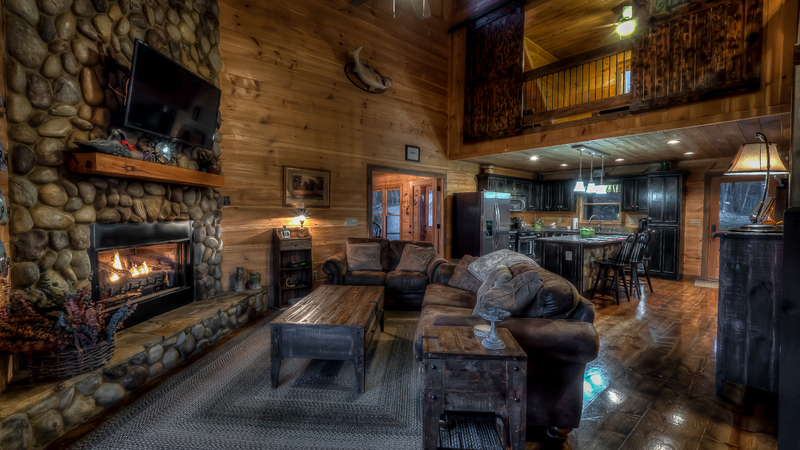 Inside, the mountain lodge is warm and welcoming, accommodating six guests in three bedroom suites, each with a private bath. 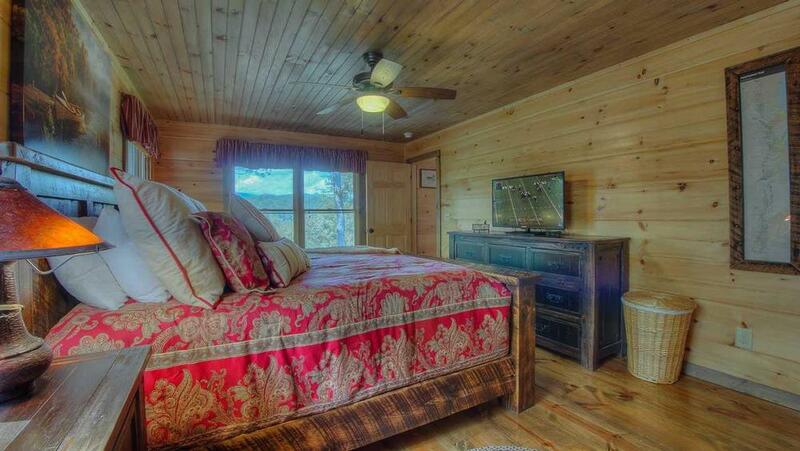 Each master bedroom features a custom king bed, flat screen TV, and on the lower level, access to the hot tub deck. 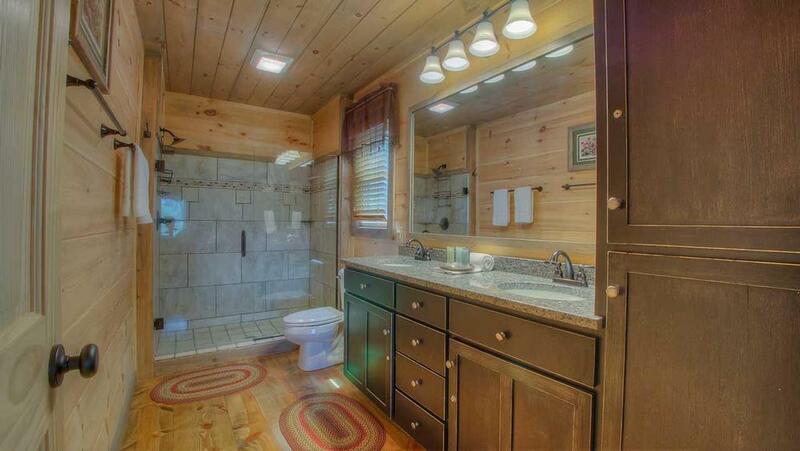 Two of the en suite baths have walk-in showers, and there’s a tub/shower combo in the bath upstairs. You’ll find everything you need to prepare meals and snacks in the spacious kitchen, outfitted with stainless steel gas appliances, granite countertops, icemaker, and both drip and Keurig coffeemakers. There’s seating for 10 at the dining table plus three at the island. 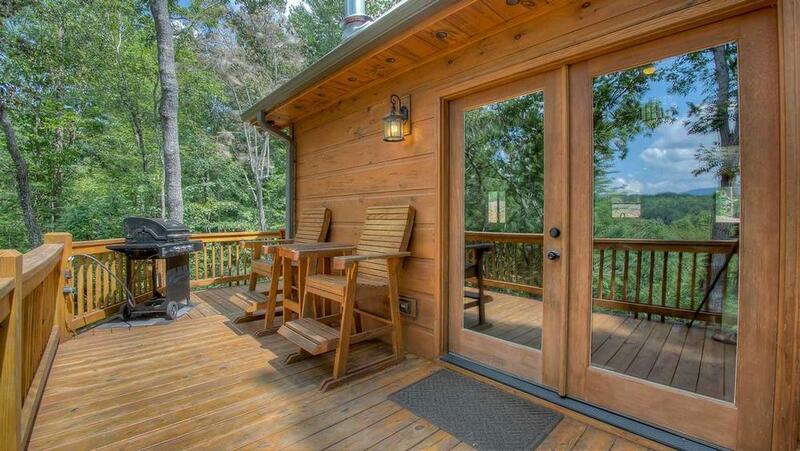 Or, you can fire up the gas grill and dine alfresco under the stars. 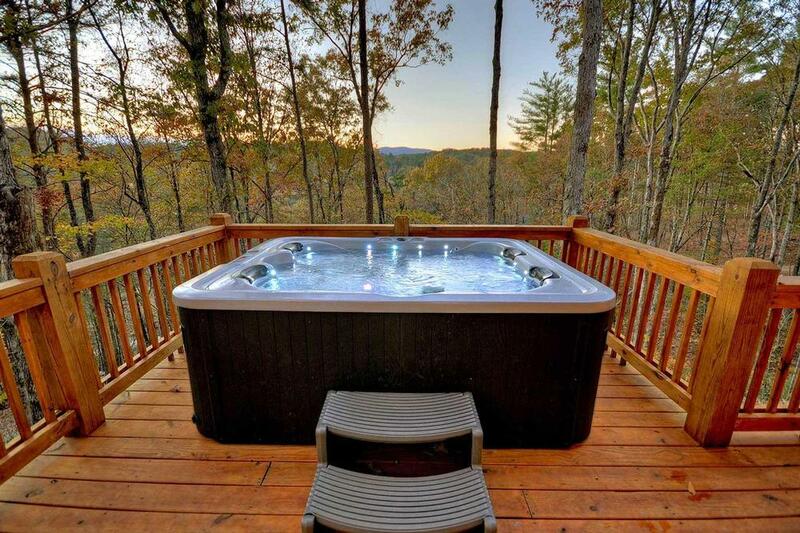 Linger there to settle into a rocker or gilder with a glass of wine and a book, or soak your cares away in the hot tub as you take in the view. 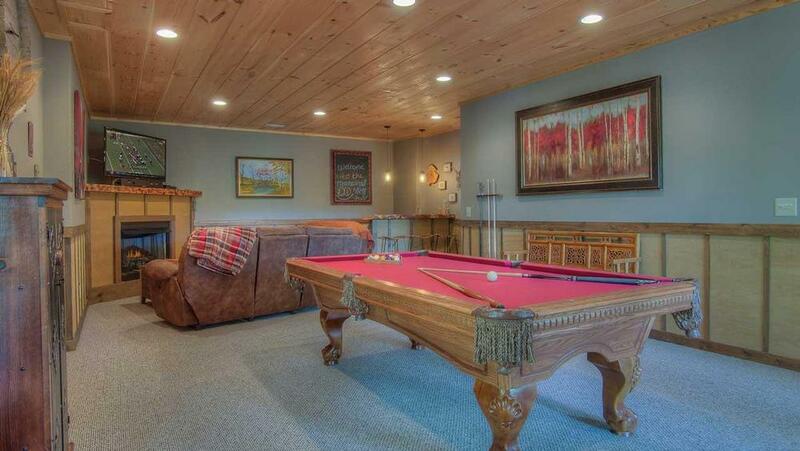 Afterward, you can play darts, billiards, or watch TV in the game room, and the family room, with its luxurious leather sofas, gas stone fireplace, and 60” flat screen TV, provides the perfect place to gather and relax. 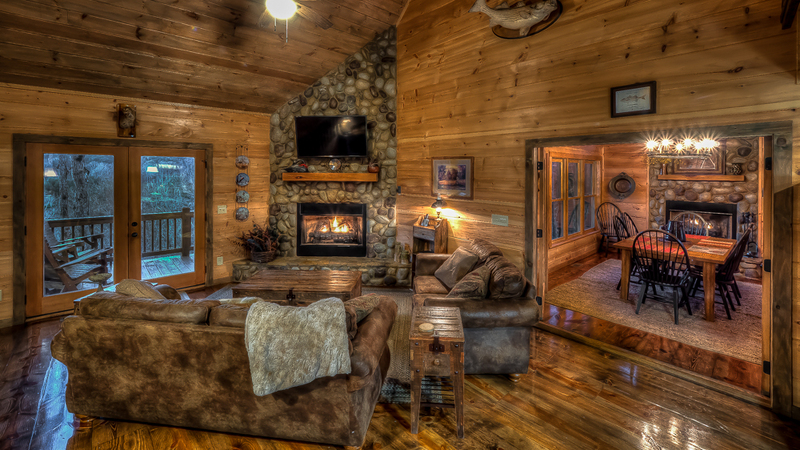 Other cabin amenities include wifi, washer/dryer, a loft office and a fire pit at the river’s edge. 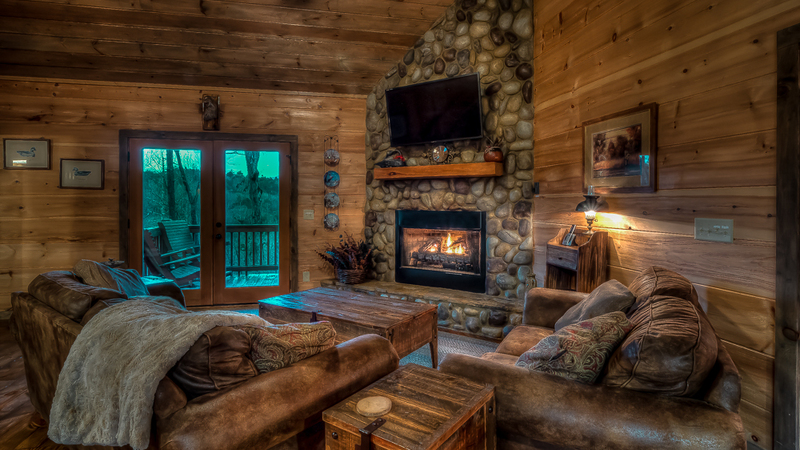 With its ideal location, magnificent setting, and all the comforts of a home away from home, On the Fly is the perfect destination for your next vacation. 03/19 - The staff was very informative and any questions that we didn’t think to ask before were listed in a very handy binder inside the cabin. 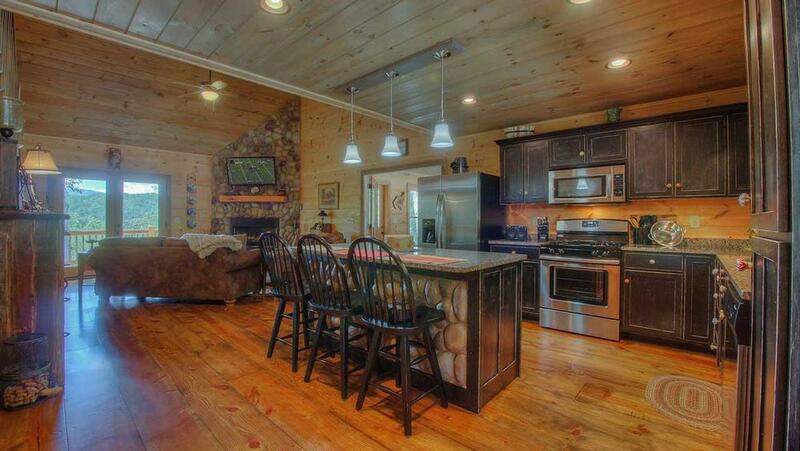 The cabin was well stocked with kitchen items, very clean, and the hot tub was amazing. 6 adults / 4 days. Amazing. The entire experience with the staff was professional and easy, always handled with excellent customer service and quick responses. 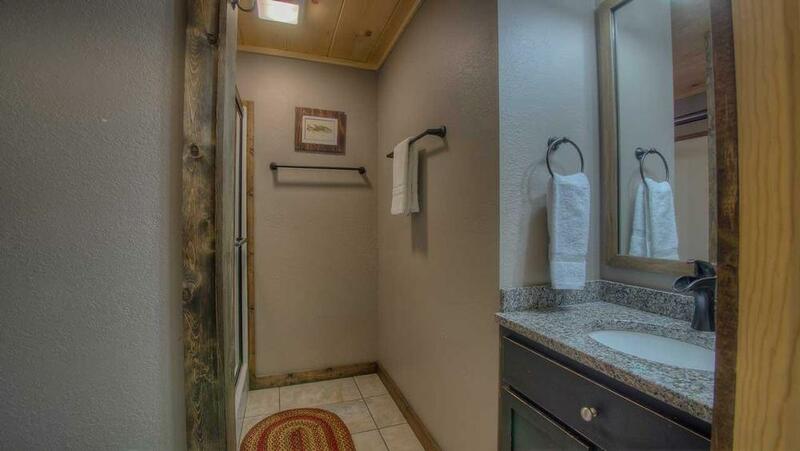 02/19 - Location, view/access to river; great decor, comfy king bed, nice walk-in shower, well-stocked kitchen, good amenities (pool table, hot tub), cozy den. Good history working with Escape to Blue Ridge. Reservations was great. Thank you! 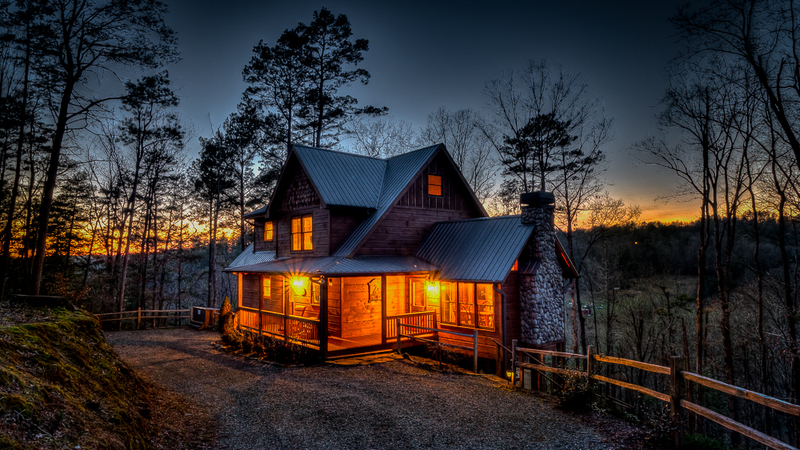 01/19 - Secluded, quiet and very nice accommodations. 11/18 - This home was excellent for our needs. Great attention to details. The bedding was most comfortable. We enjoyed the solitude of the cabin.We have used EBR for several years now and could not be happier with their management. Efficient and prompt. 10/18 - Beautiful and in a nice location. 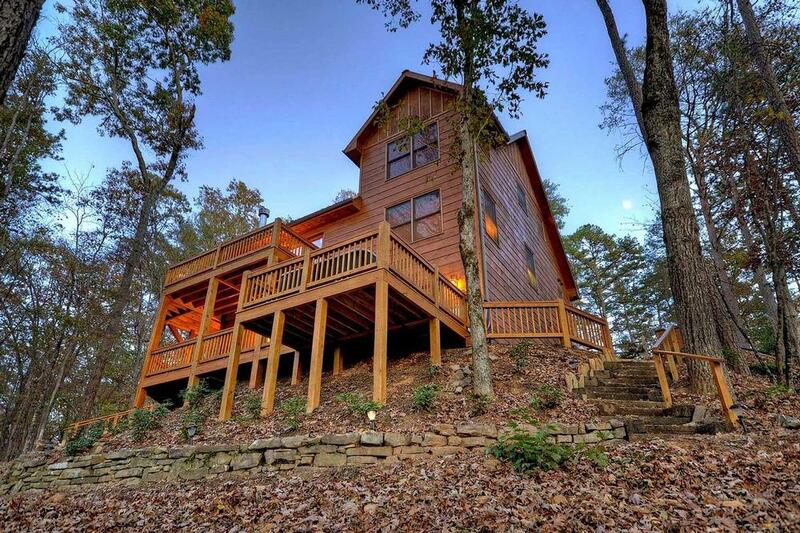 09/18 - Beautiful cabin and super helpful staff. Had a tree fall over the driveway on Sunday morning and there was someone there to remove it quickly. Great customer service! 07/18 - Elegant yet rustic/loved the smell of the pine wood trim. Every detail was considered, you could want for nothing. Friendly, professional, timely responses. Knowledgeable of product and area. 06/18 - The little details made for a great experience. 06/18 - Gorgeous property. No damage to the property that I could see. Beautiful decor. 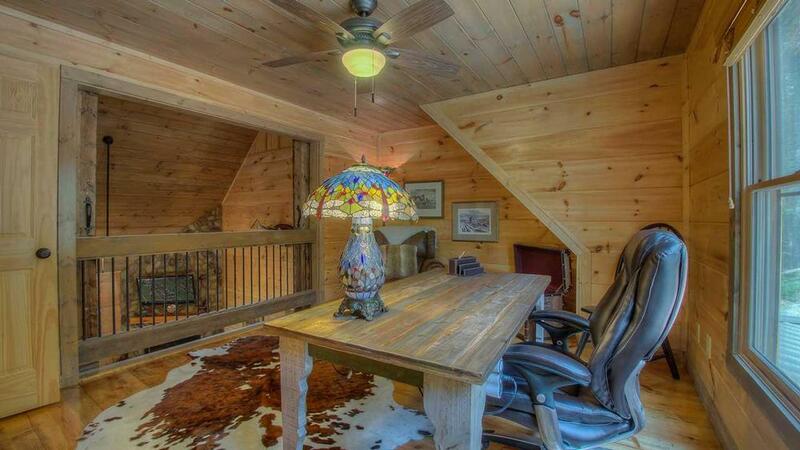 The cabin and grounds were much better than I expected. 06/18 - Well kept. Attention to detail. Top notch company with obvious attention to the little things that make a luxury experience. 06/18 - Location, view, river. Home was clean and not overdone. Just right. Very professional staff, easy to work with. 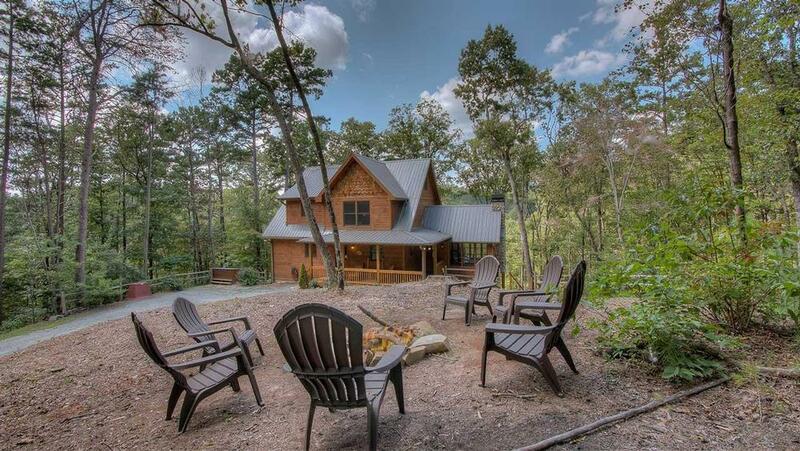 05/18 - Loved the hot tub, pool table, view, decks, fire pit, kitchen, all the wood siding and furniture, accents about the house, and the fact that every detail was thought of. Very professional company. Everything went smoothly. 05/18 - Everything was awesome, well kept. And we didn't have to take anything. It was fully equipped!! 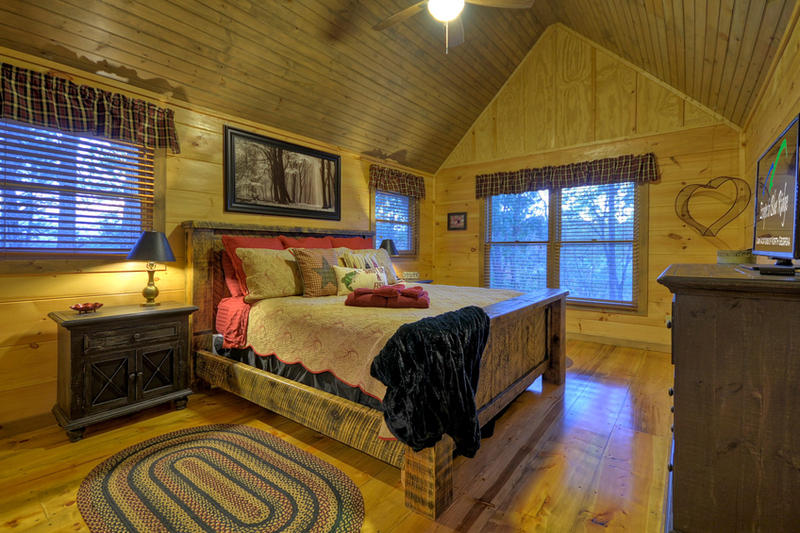 Beautiful scenery, extremely clean, very comfortable bedding. Very positive impression. House was beautiful! Loved the game room and the view. 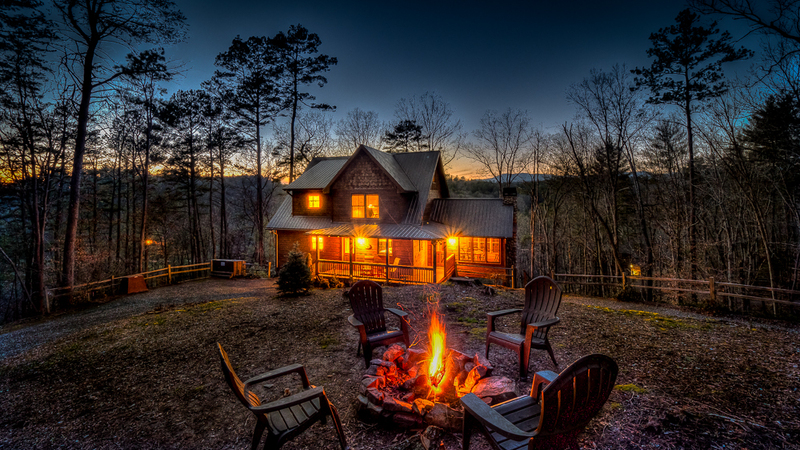 First time booking with Escape to Blue Ridge, great first impression! Loved it as always. Wonderful! 3/18 - Whole vacation was absolutely perfect! 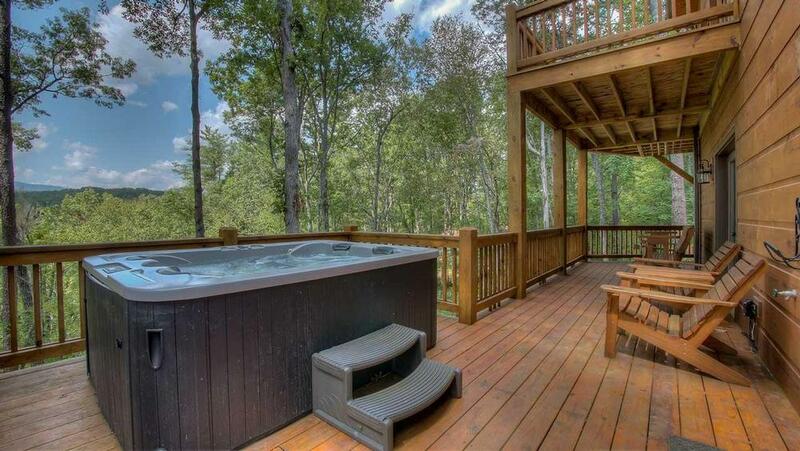 The view is amazing, very clean and organized and overall just the perfect place to escape to! AMAZING! 2/18 - The house was incredible. Very comfortable and had everything we needed. The only negative was the climb up the hill from the river....it was very difficult (and we were warned by previous reviews). Fantastic. This was at least the 5th time we have used Escape to Blue Ridge and plan to again for our mountain trip in 2019. 10/17- Very clean, wonderful views! 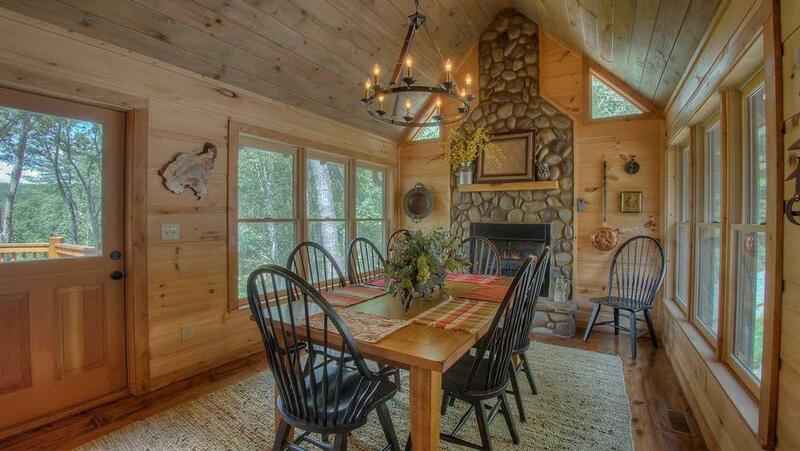 09/17- Beautiful cabin. 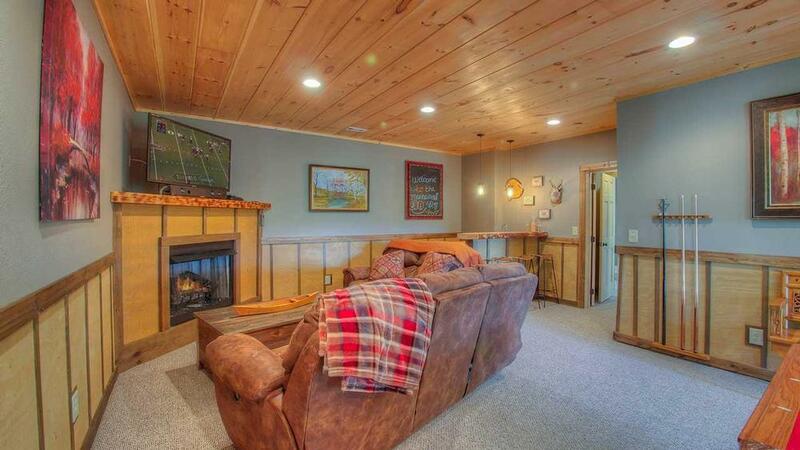 Decorated very nicely, very comfortable beds, great game room and kitchen. 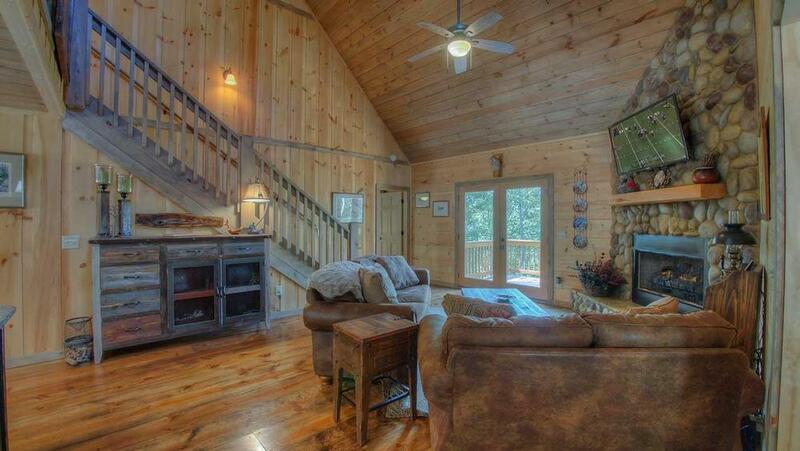 Loved everything about the cabin!! It looks nice in pictures but was even nicer in person. There was a very steep walk from the river to the cabin, which limited the amount of time we spent down there but besides that, perfect! 08/17- Enjoyed everything about it. 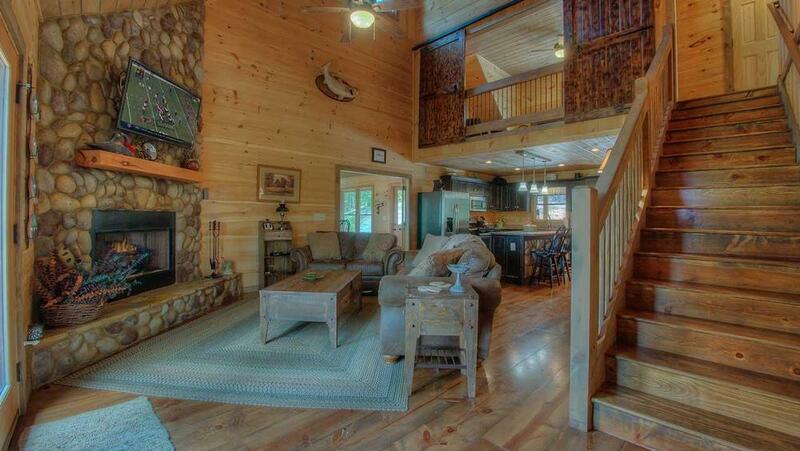 07/17- Our favorite features of the home were the size and how it was decorated and fully stocked. Oh, and the comfort of the beds! It's so important to have a comfortable mattress when you stay somewhere for a week. All went very smoothly! Everyone was very kind. 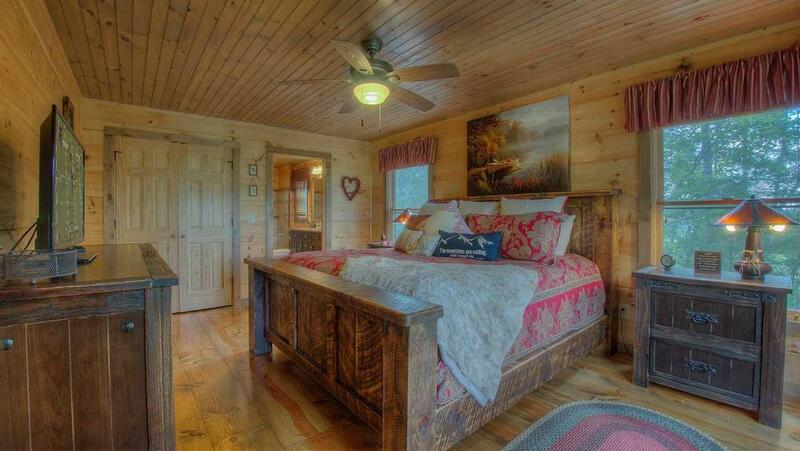 06/17- The cabin is very nice and well decorated. The kitchen had fairly new appliances and functioned well. The view of the mountain was nice when it was not raining. Love the dining room. 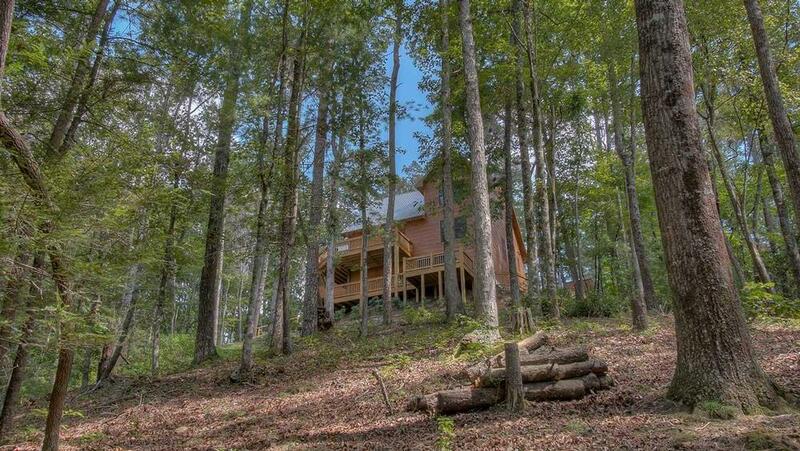 02/17- This is a beautiful cabin! 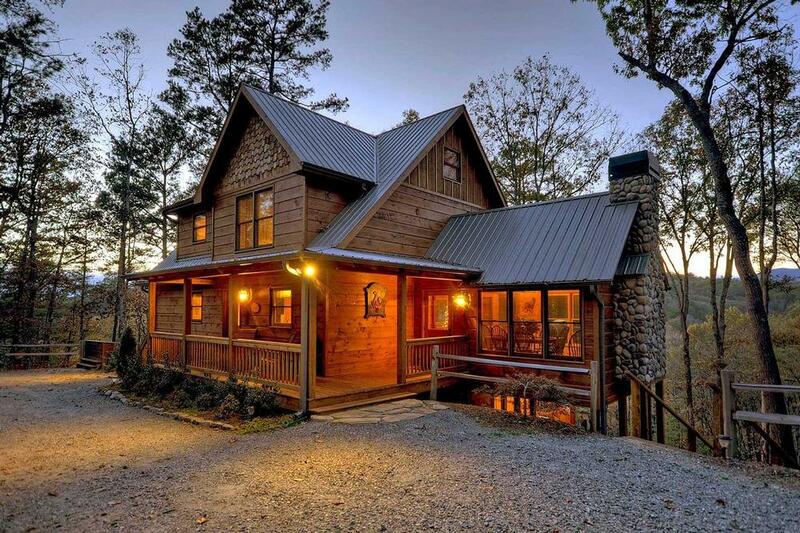 It is spacious but feels cozy and comfortable and peaceful and has a wonderful view down to the river with the mountains in the background. 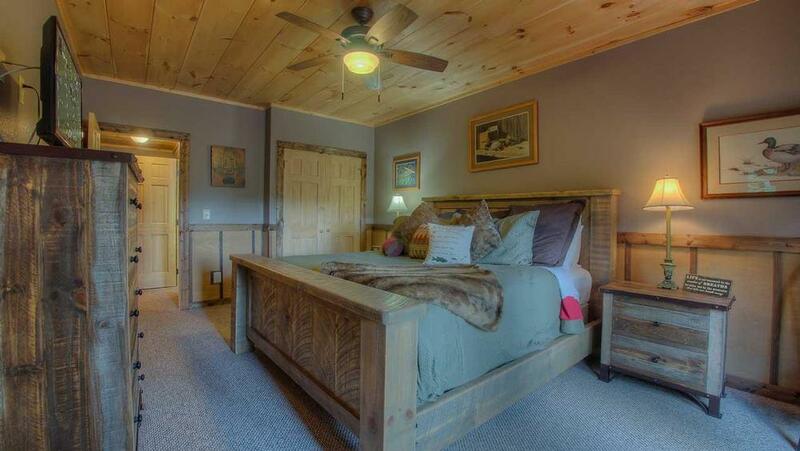 Comfy beds and furniture and high quality linens and towels. 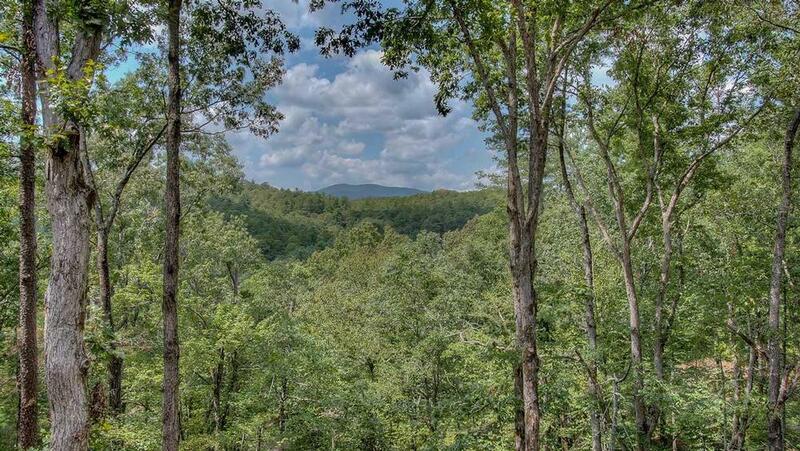 Great location between Ellijay and Blue Ridge. 01/17- We loved the view. Really liked the interaction with the staff.